Mary joined NUI, Galway in 2004, having previously trained as a professional accountant with PWC and lectured for BPP Professional Education and University College Cork. She is a Fellow of the Association of Chartered Certified Accountants, holds a Master of Business Studies in Corporate Finance and Accounting and is currently undertaking doctoral research examining the emergence and evolution of management accounting systems in SMEs. Mary received the Best Paper Award for the Accounting, Finance & Corporate Governance track at the 2015 Irish Academy of Management Conference. Mary is a member of the scientific committee for the European Network for Research in Organisational and Accounting Change (ENROAC), comprising practitioners, managers and academics who share an interest in organisational (including accounting change). 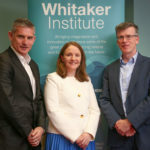 She is also a committee member of the Irish Accounting and Finance Association, an academic organisation whose aim is to promote high quality research and teaching of accounting, finance and related subjects, particularly in the Irish third level education sector. Mary lectures in Financial Accounting at both undergraduate and postgraduate levels in the School of Business & Economics. Mary has a particular interest in career mentoring and established the annual J. E. Cairnes School of Business and Economics Career Mentoring Event in 2010 facilitating one-to-one meetings between undergraduate students and senior level professionals to discuss career opportunities and plans. Mary has previously acted as Programme Director for B Comm Accounting (a niche programme for students pursuing careers in accounting) and has worked closely with employers to place students on internship and international experience placement programmes. Kelly, T. and Barrett, M. (2011) The Leading Causes and Potential Consequences of Occupational Stress - A Study of Irish Trainee Accountants. Irish Accounting Review, Volume 18, Issue 2, pp. 31-55. Doran, M. (2006) Bean Counter or Business Adviser? An Exploratory Study of Changing Times for the Accounting Practitioner in Ireland. Irish Accounting Review, 13 (1), 23-46. Mary is particularly interested in all aspects of accounting in SMEs. Currently, Mary is examining the process of evolution and development of management accounting systems in SMEs. As a member of the scientific committee of the European Network for Research in Organisational and Accounting Change, Mary co-chaired the 10th anniversary ENROAC conference in 2015 at NUI Galway, welcoming international academics and practitioners to discuss all issues relating to organisational and accounting change and in particular, the conference theme: In search of Competitiveness and Sustainable Value: Designing Accounting practices to manage Business and Social Innovation. Previous research undertaken by Mary examined the demand for non-compliance services in SMEs and potential barriers to uptake of these services. More recently, she has undertaken research with Gearóid O'Fátharta on the demand for voluntary audit in SMEs. In addition, Mary has jointly undertaken research with Teresa Kelly on the leading causes and potential consequences of stress amongst Irish trainee accountants. Development of partnerships between J. E. Cairnes School of Business & Economics and a number of international employers via career mentoring and programme developments on B. Comm (Accounting).Accenture, IBM, SAP, Medtronic, Boston Scientific, KPMG, PWC, Deloitte, Ernst & Young, Mazars etc.